LOVE to sweeten the air in your room with fresheners? Beware. A study has found that people who use air fresheners or other household cleaning products which contain aerosol propellants, formaldehyde, as little as once a week, experience reduced heart rate variability (HRV)—a condition linked to heart attack and high blood pressure. Cardiovascular diseases are one of the major causes of mortality in both developed and developing countries. 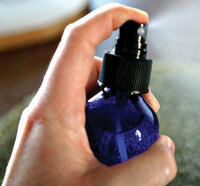 Though household sprays and scented products have earlier been associated with respiratory problems their cardiac effects are largely unknown. Researchers at the National Institute of Environmental Health Sciences in the US studied 581 homemaker women who were taking part in a long-running Swiss study on air pollution. Their medical history (presence of asthma, shortage of breath at higher altitudes and medications undertaken) was also taken into consideration before initiating analysis. Eighty-eight per cent of the total people surveyed were exposed to household cleaning products, while the rest were unexposed. The exposure was primarily of cleaning sprays, air freshening sprays and scented products. The exposure time ranged from four to seven days per week. The researchers then analysed the interval between heart beat using ECG. They also took into consideration amount and speed of air that can be inhaled and exhaled. The exposed participants had a reduced 24-hour variation in heart beat which points to a developing heart disease as compared to unexposed patients. “Our study is the first-of-its-kind that correlates the cardiac effects of household cleaning sprays,” says Probst Hensch, one of the researchers. The study was published online in the April 2012 issue of Environmental Health Perspectives.